Will The Eco Left Squeeze Moderate Energy Voices Out Of Contention? 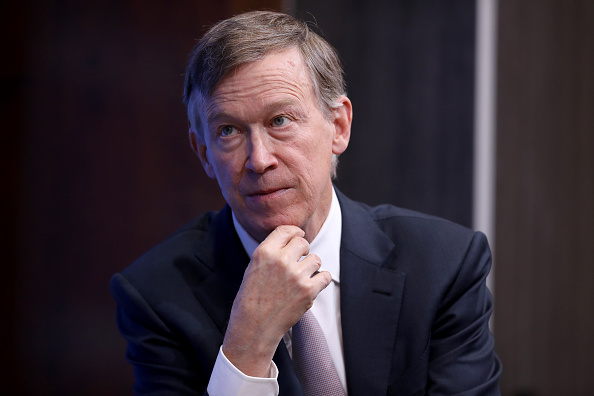 Former Colorado Governor and 2020 Democratic presidential candidate John Hickenlooper signifies what may be a dying breed on the left – a moderate on energy and environmental issues. And it’s raising a fundamental question; will the eco left squeeze moderate voices like him out of contention? While such phrases may be terms of derision from the left, they shouldn’t be. Fracking has contributed to much of Colorado’s economic growth in the past decade. As Governor of Colorado, Hickenlooper supported reasonable energy policies, helping Colorado become the fifth largest oil and gas producing state in the country. And as a former geologist who once drank fracking fluid to prove its safety, Hickenlooper understands the science behind energy extraction and the modern technologies that make it safe. But science and moderation may not be enough for today’s left. Hickenlooper is toward the bottom of the polls. And with candidates embracing Alexandria Ocasio-Cortez’s “Green New Deal” and pledging to eliminate fossil fuels in unrealistic time frames, it’s unclear whether a candidate like Hickenlooper can gain much momentum. One test of the environmental movement’s vice grip on the left will come later this week when Majority Leader Mitch McConnell brings the “Green New Deal” up for a vote in the Senate. Minority Leader Chuck Schumer is reportedly working to stop his colleagues from casting yes votes on the measure, and instead wants them to vote “present.” However, there are multiple Senators on the left who are also running for President, and it’s unclear whether they will risk the wrath of the left by refusing to vote for the socialist policy proposal. Will 2020 leftists succumb to pressure from their extreme wing of their base, or will they take a reasonable approach on energy issues? We’ll see.